Getting the video URL of a YouTube & Vimeo video such an easy task. The purpose of article to help non technical users to easily find out the method of video URLs. We are explaining the article into Two parts, part one will tell you about how to get YouTube video URL? and part two will tech you how do i get Vimeo video URL? Part One : How to get a YouTube video URL? Firstly go on YouTube official website. 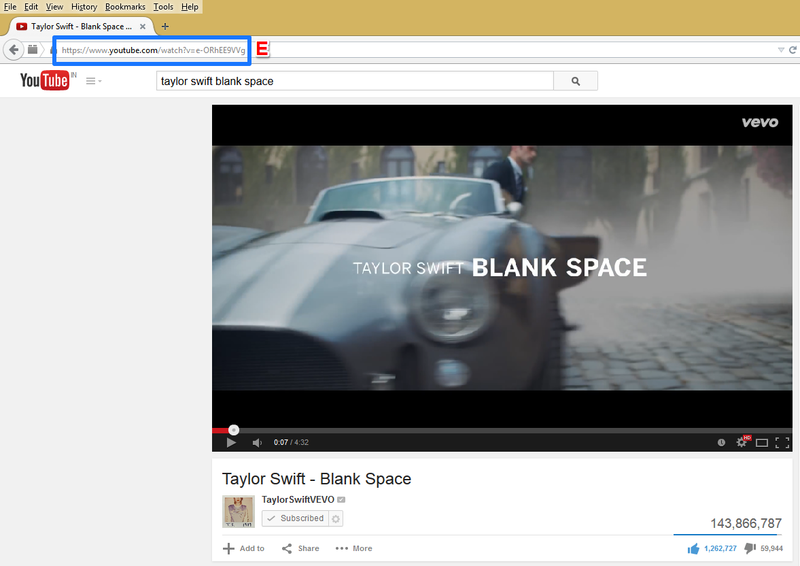 Like i am trying to search “Taylor Swift – Blank Space” a music video song and it’s URL. A) Now we are on YouTube site. So, Type the video name into the search box. B) Now click on search button. C) This step provides the result regarding our video search. And our desired video has been appeared at top of the search. E) In below screenshot you will see blue highlighted area, this is your YouTube video URL. Copy that URL as your video YouTube URL. In part one we have fished the YouTube video URL searching. 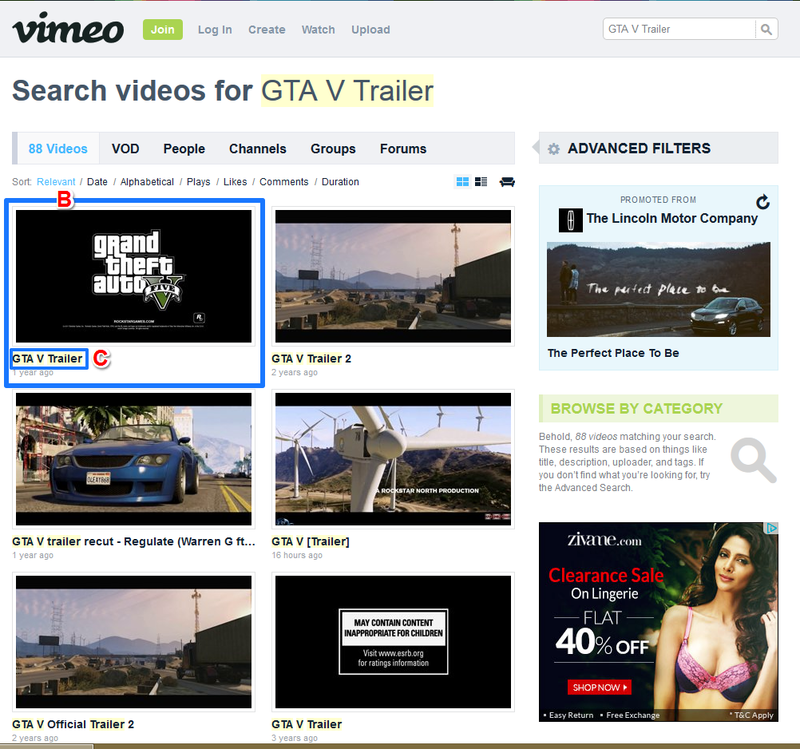 Now, in next part two we will find how to get Vimeo video URL? 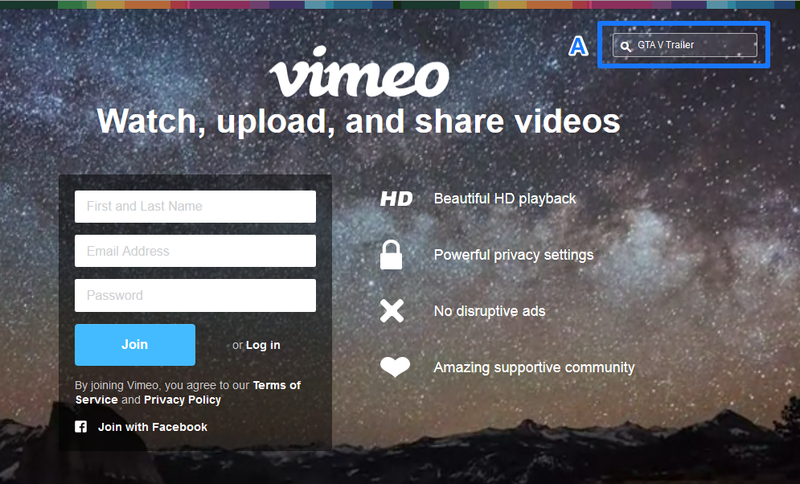 Part Two : How to get a Vimeo video URL? Firstly go on Vimeo official website. 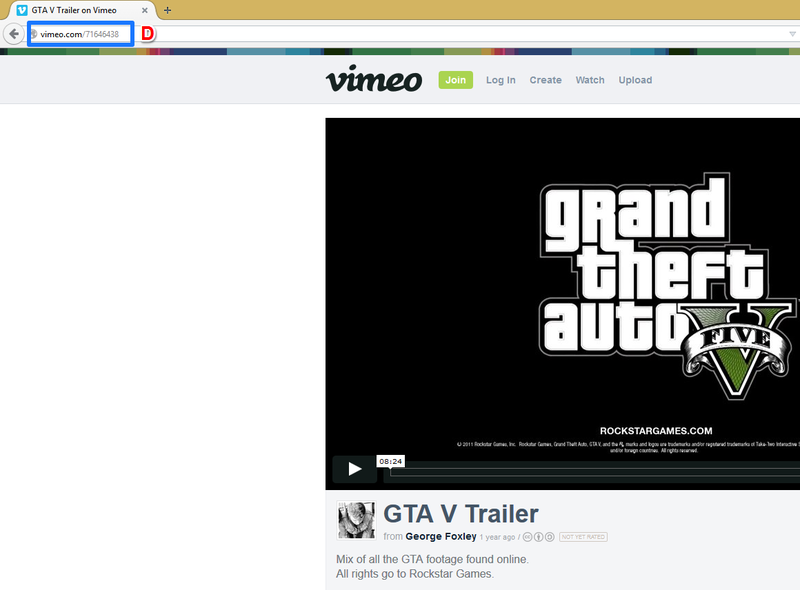 Like i am trying to search “GTA V Trailer” a video game trailer and it’s URL on Vimeo. A) We are on Vimeo site. So, Type the trailer video name into the search box and hit Enter key. B) After that you will be on search result page. Here we got the trailer video. C) Now click on video Title and title link will redirect you on video playing page. D) You are at video page, you will see blue highlighted area, this is your Vimeo video URL. Copy that URL as your video Vimeo URL. 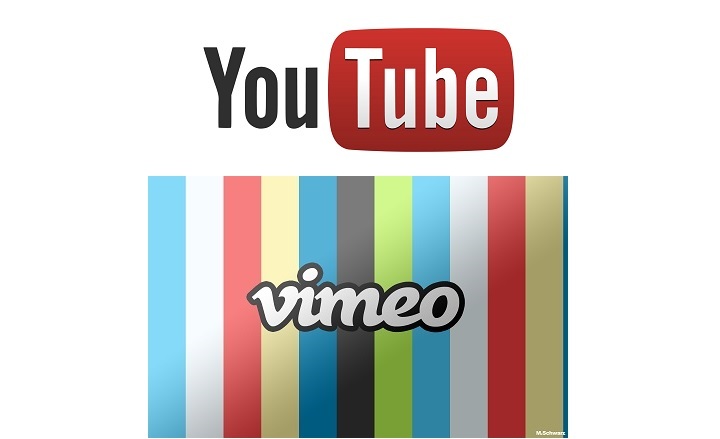 We have successfully learned method of get video URL of any YouTube & Viemo video in above tutorial. Thanks for reading our “Get Youtube & Vimeo Video URL” article. Thanks for the help. I’m very grateful, I always had a hard time trying to download videos off vimeo. Once again, thank you. How can you play only the video w/o seeing the next one in line? Yes, very useful information. It helped my cousin very much.